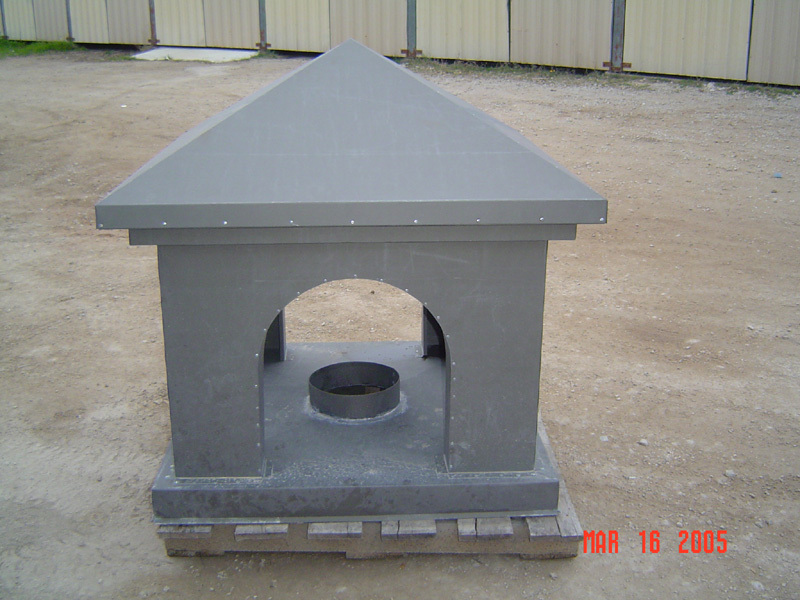 See our Chimney Cap Designs! 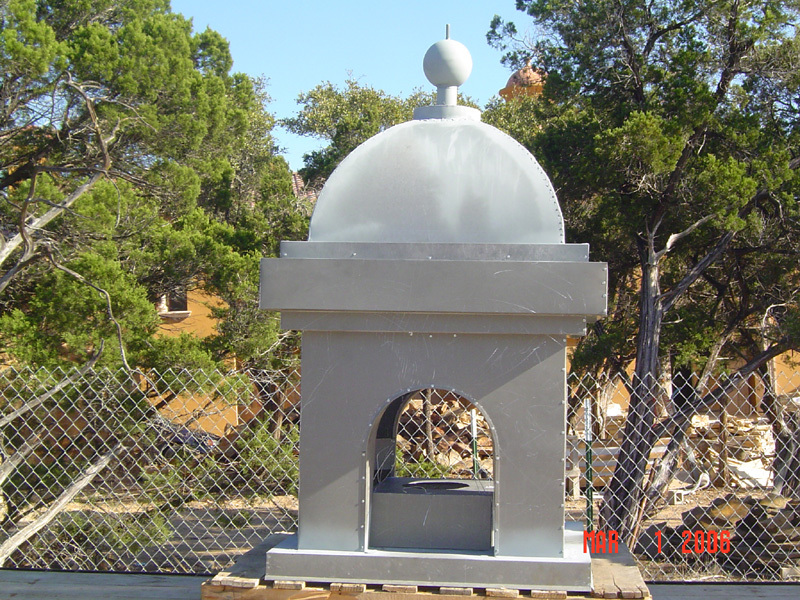 We fabricate metal chimney caps! 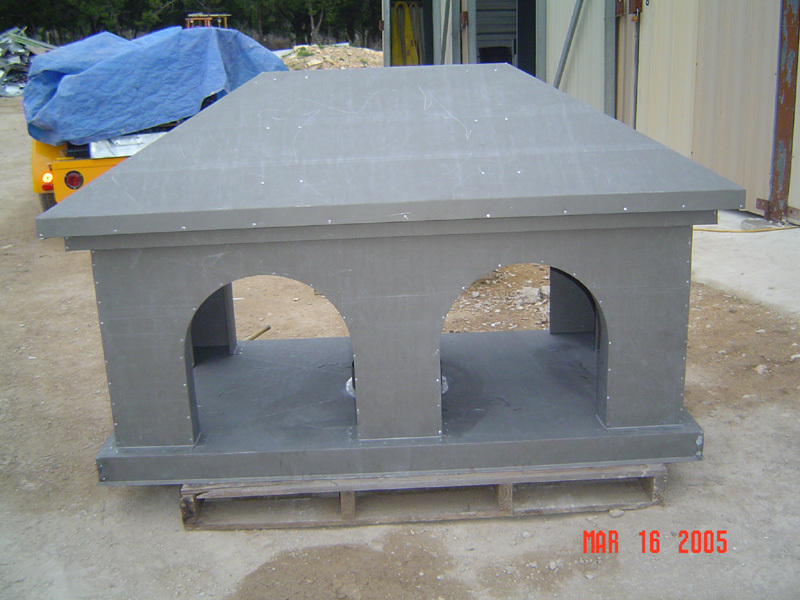 Browse the images of our beautiful and uniquely crafted chimney caps. 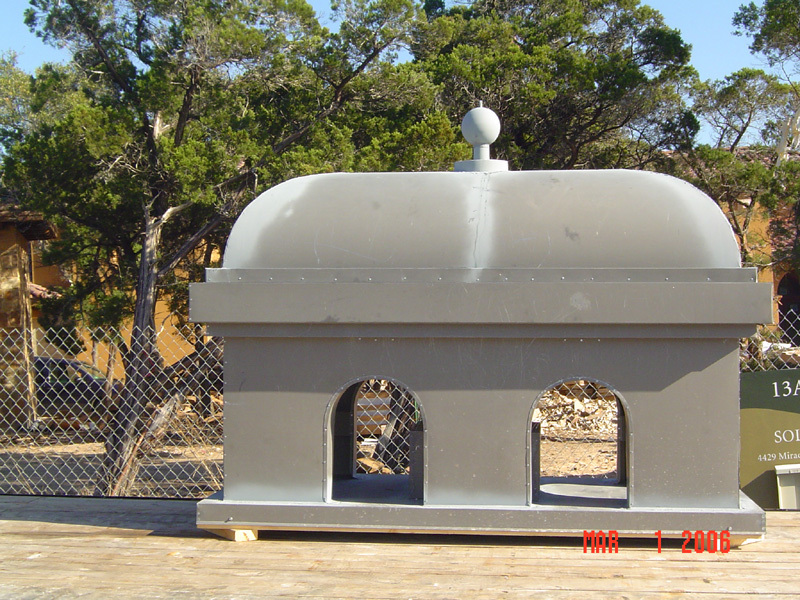 Installing a chimney cap on top of your flue can save you money in the long run. 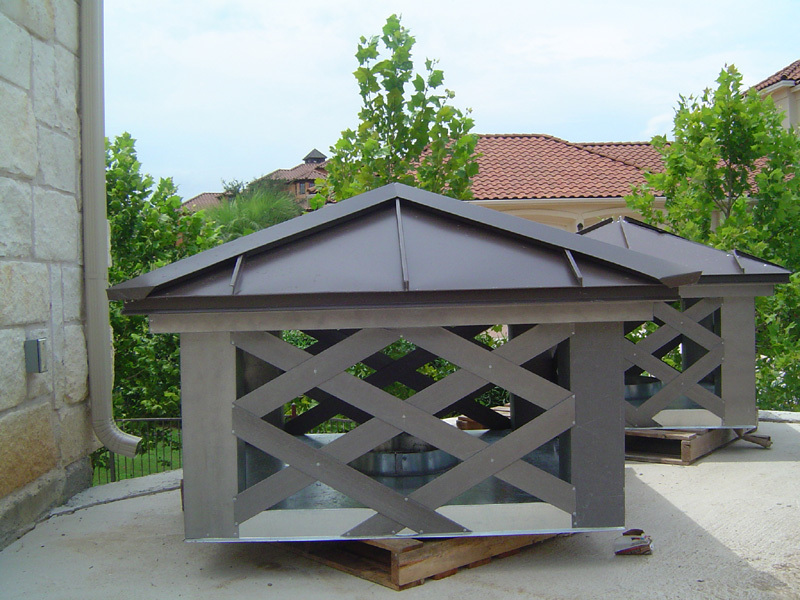 The covers keep out damaging moisture, which wears away other chimneys made of masonry materials. Plus, they keep the critters out!